Description : Gurdish is a renowned India Artist. 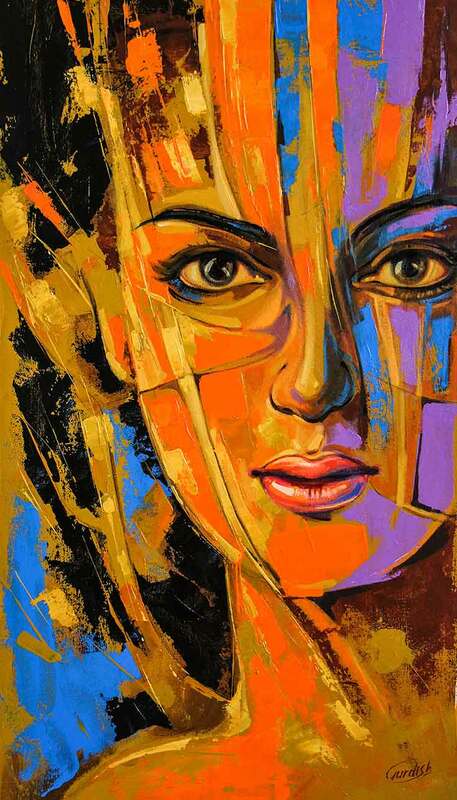 He is well known for women figurative art painted with knife on canvas. Inspiration for this artwork - The artist shows us different stages of life and well being which uplifts this acrylic on canvas painting.